Shy, reserved Henry Evans, an American pharmaceutical scientist, met, loved, and ran from vibrant Francesca Chisholm, an English girl he met while backpacking in India 20 years ago. But he never forgot her, and with the death of his father, the only person tethering him to the States, he heads off to Warbling, England, a flood-washed, storm-tossed village at the edge of the sea, to find her again. The kind, honest Francesca of memory, however, has been imprisoned for the past year as Francesca the self-confessed murderess of her palsied five-year-old son Harry. Relentlessly logical Henry can't make her confession dovetail with the idealized image in his mind, and although Francesca herself orders him to leave her conviction alone, he is subtly manipulated into investigating young Harry's death by Francesca's cousin Maggie, a woman of half-truths and untold tales. His hosts at his boardinghouse, Peter and Timothy, an aging homosexual couple, used to baby-sit Harry gladly, and still sense his presence in their garden, while Angela and her estranged husband Neil, custodians of the castle, the local tourist site, and their abuse-scarred adopted daughter Tanya also took care of Harry, though rather less lovingly. Why would all of them be so willing to accept Francesca's confession? Henry's persistence, his refusal to run from commitment this time, eventually leads through a sly bit of sleight-of-hand to the truth. 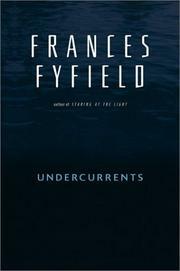 Atmospheric, perceptive, elegantly written: ample proof that Fyfield can plumb the male psyche as deftly as she does the female’s in her Helen West and Sarah Fortune series (Staring at the Light, 2000, etc. ).